The new web is all about relationships and social capital. Virtual communities have become an extension on our daily lives. We meet, contribute, collaborate, create and host events that help expand our social network. So where do brands fit in this context? What makes a brand social? And how social can a brand be? There is always going to be a tradeoff involved. The more control you are willing to give away, the more likely others will feel like part of the meeting. By the same token, ceding control elevates the risk of going off topic and not hitting your goals. It is a balancing act. Depending on your project goals, you will define how social the event is going to be. Brands follow the same logic of our board-meeting example. A research done by the Center Advancement of Information Science Education (CAISE) in July 2009 on public participation on research projects establishes three types of groups: contribution, collaborative, co-created. Furthermore, Nina Simon in her book the Participatory Museum, which I highly recommend, applies the concept outside the science environment for customer engagement. She added a hosted category. I will take this framework and apply it to characterize the social nature of a brand. Do you have a contributor brand? These brands tend to plan the end-to-end marketing program. They engage consumers by asking them to submit initiatives, so consumers can feel part of the brand. Consumers are not allowed to comment on others’ contributions. JetBlue is an example of a contributor brand, as it publishes consumer stories on its website. Do you have a collaborative brand? These brands also tend to plan marketing programs. However, consumers can not only submit content, they are also able to help define and shape the content through reviews, rankings, etc. Amazon is a good example of a collaborative brand. Do you have a co-created brand? These brands engage consumers across most steps of the process. In other words, consumers are involved in the ideation, design and production of their marketing programs. 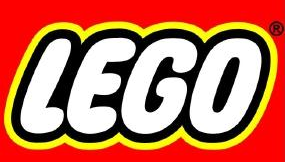 A good example is Lego, which uses consumers’ ideas to develop new products. Plus, consumers can design their own lego. Do you have a hosted brand? These brands basically create a platform to allow consumers to create their content. In this case, the brand function as a facilitator. Hosted brands still have rules to ensure quality of the content. Aggregators such as Linkedin and Wikipedia tend to be good examples of hosted brands. What is the right social brand character? It depends on the brand’s goals. There aren’t right or wrong answers. However, the trend seems to be moving toward brands taking on more of a facilitator role rather than being the sole producers of content. Alberto - great insights on brands using social as a construction platform. i twittered this one.